Internet traffic to and from Syria, a country engulfed by civil war, again came to a halt on Wednesday, according to Internet monitoring company Renesys. “Syrian Internet down again since 07:01 UTC (10:00 Damascus time), Wednesday, 15 May 2013,” said Renesys in a blog post. The Google traffic report graph that provides information of traffic to the company’s services per country also shows a service disruption. “This is very similar to events that happened in the past,” said Jim Cowie, CTO and co-founder of Renesys. The company monitors Internet connections around the world. The previous outage lasted for more than 19 hours between May 7 and May 8, according to Renesys. 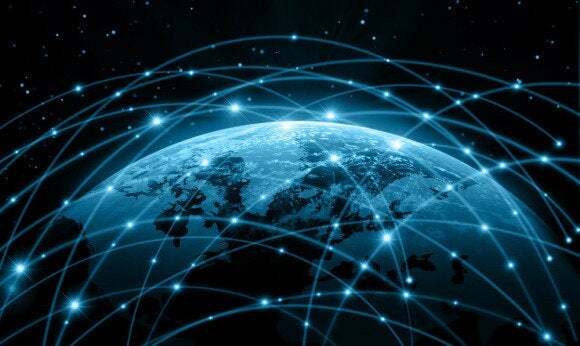 On Wednesday, virtually all Internet connections became unavailable from outside the country, Cowie said. “The routes were removed from the routing table,” he said, adding that this means that no machines in Syria can be reached and all websites hosted in Syria appear to be offline from outside of the country. “It may be the case that the Internet is still online in Syria,” Cowie said. But there is no way to tell. “We can’t reach them and they can’t reach us,” he said. This deprives Syrians’ to access important information, Cowie said. Many Arabic language Web sites are hosted in the E.U. or even in the U.S., he said. According to a Google-translated report on Syria-News.com, the disruption was caused by a malfunctioning fiber optic cable. This, according to Syrian authorities, also caused last week’s outage. “It is a plausible explanation,” said Cowie. But if it were a fiber optic cable it would probably have to be a domestic one and not one of the submarine cables, of which Syria has several, he said. “If it is a physical problem it would have to be in a very critical building or cable,” in Syria, he said. Another possible cause of the outage could be that authorities ordered or caused the Internet to be shut down, Cowie said. One way to do this would be to cut off electricity to a critical switching facility, something that happened in Egypt in 2011, Cowie noted. “If the switches can’t work the data can’t flow,” he said. A more likely scenario is that, since the Syrian communications authority essentially controls Internet access in Syria, it shut down access administratively by logging into routers and switching them off, he said. If that is the case, the Syrian Internet can become fully functional again within 30 seconds, if authorities decide to restore access, Cowie said. Meanwhile, some Syrians might be able to access the Internet through satellite dishes or phones, as well as via dialup routers, Cowie added. In a blog post, Cowie speculated that the disruption might be related to an expected U.N. General Assembly vote Wednesday to approve a resolution calling for a political transition in Syria and condemning President Bashar Assad’s regime for its use of heavy weapons. Updated at 9:35 a.m. to correct the year of an Internet outage in Egypt.